The 2018 Homecoming was a huge success (photo gallery). Thanks to the many alumni who came home to the hill to support our students and spend time with their MLC family. 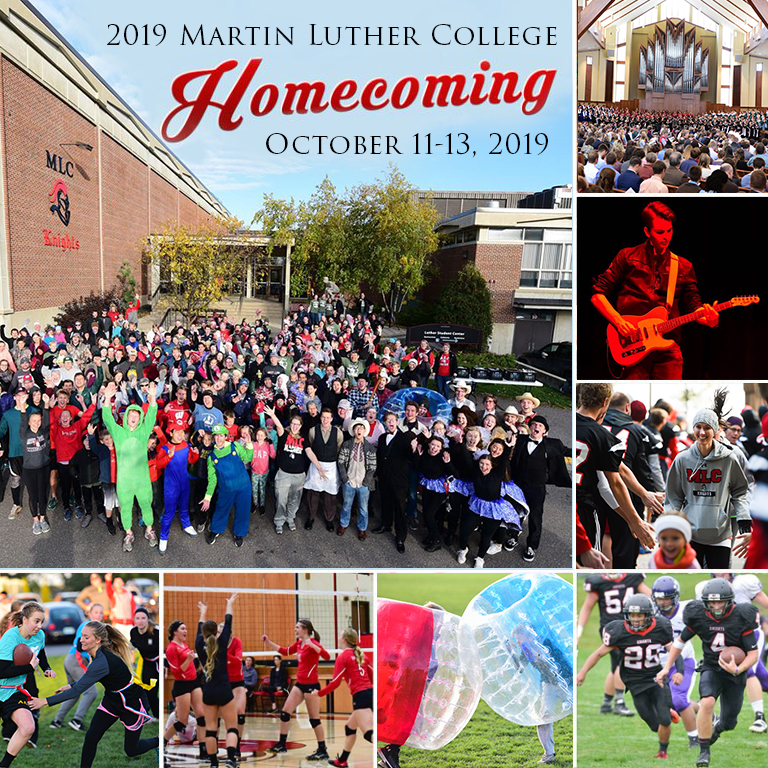 2019 Homecoming weekend dates are set for October 11-13. In addition to cheering on Knights football, soccer, volleyball, or cross country, a host of other events will welcome you back to your hilltop home. Be sure to take in the popular Friday night Talent Show. Bring the family and start your Saturday with the 1-mile Sprinter Campus Fun Run. Register in the LSC and enjoy a free alumni gift. Enjoy complimentary treats, a photo booth, and the carnival-like games and atmosphere at the free Family Fun Zone. Gather with fellow grads Saturday evening for beverages and hors d’ouvres at the Alumni Mixer. Conclude your weekend with Sunday morning worship in the Chapel of the Christ followed by brunch in the cafeteria.